Since the fall semester is coming to an end, let’s celebrate by talking about the horrible endings to dystopian books. Gone are the days of warmth, sunshine, and lazily reading a book on a Sunday afternoon. Instead of cracking open a good book, we have been cracking open our textbooks. Don’t fret though bookworms, after finals are over, we have an entire winter break to dedicate to reading (and sleeping, of course). Beware of the spoilers for the Hunger Games trilogy and Divergent trilogy ahead though, especially if you haven’t finish reading them. For each of these horribly-ending books, I will provide a brief synopsis and why I think they didn’t end well. Let us know if you agree! In spirit of the recent release of the Mockingjay movie, I will begin with The Hunger Games trilogy. 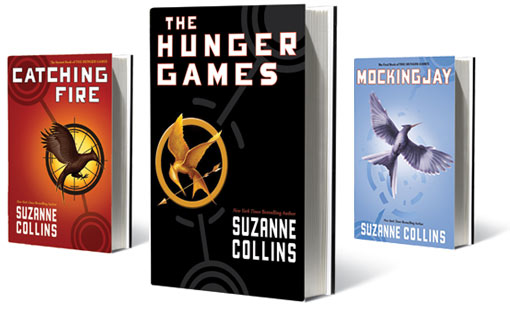 Out of the three books, I would say Mockingjay is my least favorite. The majority of Mockingjay consist of Katniss whining and blaming herself for endangering Peeta. To further disappoint me and most of the other fans, not only did Suzanne Collins kill off Primrose, Katniss ended up with Peeta at the end. They even had two children together. I also find the reason why Katniss ended up with Peeta a bit selfish. I couldn’t care less who Katniss picked in the end, but Katniss chose Peeta just to survive, and that seems unfair to him. Despite its flaws, Mockingjay did have a message that haunts me till this day: It doesn’t matter who you’re fighting for, you’ll still be a pawn in their games. Many people have compared the Divergent trilogy to the Hunger Game trilogy just because there is a main female protagonist trying to overthrow a corrupt and unfair government—but that is where the similarities end. I liked the concept of the characters being experimental subjects, placed into different cities, to measure how different personalities help maintain or destroy peace and order. It was definitely fun imagining Chicago, the setting of this trilogy, in ruins. 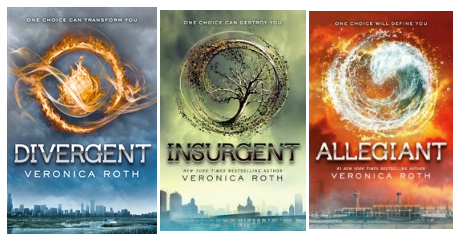 The trilogy ends with Allegiant, where Tris dies and Chicago is at peace with a new government. As much as I am a fan of the main-character-dying-at-the-end-of-the-book plot, I feel that it was inappropriate for Tris to die after dodging all those near death situations throughout the trilogy, which made her seem invincible. Honestly, if anything, Tris should have died in Insurgent and let Four finish the job. 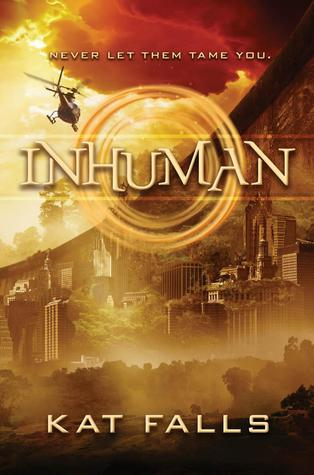 Inhuman takes place in the United States after a bio-hazard incident occurred, wiping out the whole eastern side of the Mississippi River, which was referred to as the Savage Zone. The biohazard incident caused humans to mutate into different animal species. At the last stage of the disease, they, also referred to as the Ferals, lose all contact with their human self and eventually become animal-like. Lane, the main protagonist, leaves the safe zone to find her father, who is in the Savage Zone fetching artifacts. There is going to be a sequel to this book. Set in the city of Kersh, everyone has an Alternate, a twin raised by another family. Before both twins turn twenty, they are required to kill the other twin in order to have a good life. Dualed focuses on West and her fight against her Alternate. West is a confused teenager who doubts whether she is the best version of herself to survive. This book has a typical not that original ending, yet there is a second book called Divided, picking up where Dualed ended. 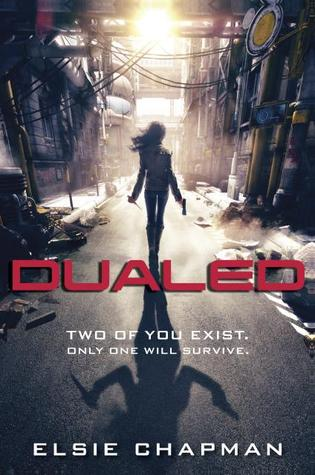 I have yet to read Divided but if I remembered correctly, Dualed ended without a cliffhanger, leaving no hits about a sequel. Starters takes place in Los Angeles after the Spore Wars, where biological weapons killed anyone who is over 20 years old and under 60 years old. The main character, Callie, and her brother, Tyler, are trying to survive the harsh streets of Los Angeles with no parents, stable shelter, or food. In order to get themselves a better life, Callie decides to go to Prime Destination to rent her body out to “Enders”, or senior citizens, who want to relive their young days. However, the neurochip placed into Callie’s head malfunctions and she lives her renter’s life, leading her to find a secret of Prime Destinations, a horrifying place in Beverly Hills run by a figure known as the Old Man. Starters also has a sequel called Enders. I have read and watch the Hunger Games series. I will admit Mockingjay is sad and worst of the three. However it takes some psychology to examine the characters especially Katniss. I just arrive here on wordpress so come check out my blog next week. I will write a post about Katniss’ character because it’s a topic by itself. However I believe she geniunely loves Peeta as Catching Fire shows it’s more mutual. She’s willing to die so he can survive and return home. Even in Hunger Games, she risked it all to keep Peeta alive when she could have left him to die. He’s half of her problems because the games have 1 not 2 victors! I never read divergent and was curious on the series. I know Roth based it off Collins’ series so that’s why there’s a comparison. Btw you know Roth wrote a fourth book, Four. So Four would be the focus and might be Tris’ version of Katniss’ Peeta.